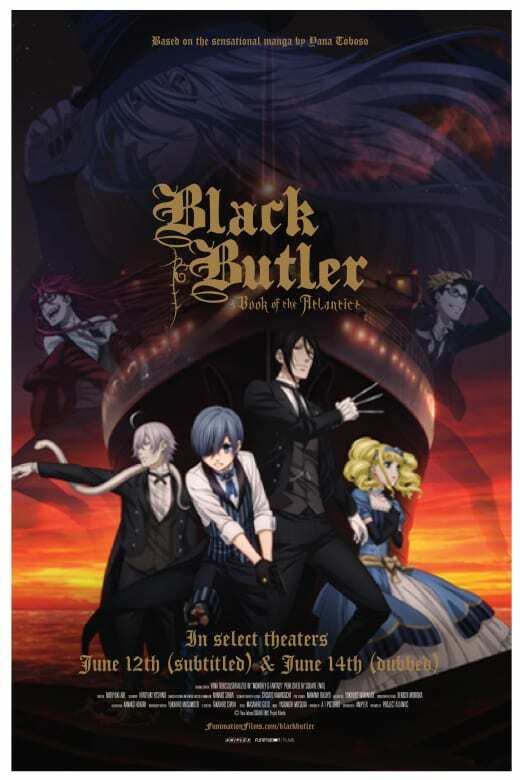 When Funimation announced special screenings of Book of the Atlantic, a Black Butler (Kuroshitsuji) movie, I wasn't interested at first. A few weeks before the screening, I figured why not? We got tickets to see the dub as it was showing on my usual day off and got to the theater early so we could get good seats. There were cosplayers and fans of all ages, though most seemed to be teenage girls. Black Butler + Titanic + Zombies = Book of the Atlantic. Only thing I wish I had done before watching this movie was to watch Book of Circus as there's a character or three from that arc. I think the most surprising part about it was Lizzy. I always thought she was annoying and couldn't do anything for herself, but her true character was revealed. 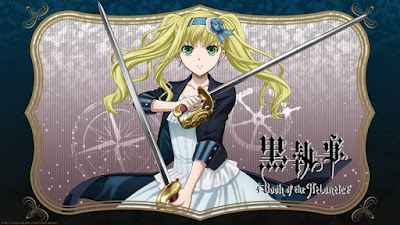 She isn't as helpless as she lets on in the first season and ends up being a one of the best fighters in the whole series. 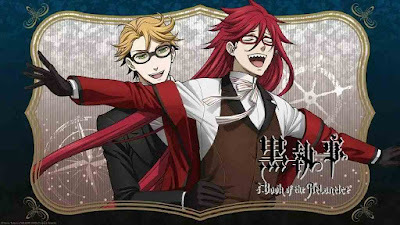 I didn't really think anything of it before the movie, but...if their was any type of fanservice scenes or something slightly funny, the auditorium would be full of screams that only fangirls (and boys) could make. I'm pretty sure the people walking down the theater hall and in the auditoriums next door thought the viewers were either really scared or being killed. Unfortunately, due to the screams, we missed a good third of the movie's dialogue. The audience for Book of the Atlantic seemed more immature than the crowds who showed up for the Evangelion 3.0 movie, Yu-Gi-Oh Dark Side of Dimensions and DBZ Resurrection F showings COMBINED. It's okay to be a fangirl/boy, but when going to screenings like these, please be considerate of the movies showing next door and to the chaperones who have no idea what they are getting themselves into. It's alright to scream, but not so loud or long that the person 10 rows behind can't hear anything for the next 3 minutes. 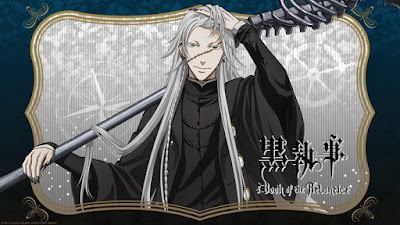 I'd rewatch Book of the Atlantic, but in a quieter setting...and to see Undertaker's and Lizzy's amazing scenes again. OMG HIS FACE! HE ACTUALLY HAS ONE!